Present Company, under A.D. Elena Holy. Shows and events take place in 20 venues in Lower Manhattan. FringeNYC, with attendance often topping 75,000, is NYC's fifth largest cultural event - just behind the NY International Auto Show, Tribeca Film Festival, NYC Marathon and NY Comic Con. The Fringe, one of the city's best theatrical bargains, is famous for presenting work that reflects the energy and political and social mores of the contemporary world. In 14 years, FringeNYC has presented over 2,400 performing groups worldwide and has been the launching pad for numerous Off-Bway and Bway transfers, long-running downtown hits and regional theater productions including Urinetown, Debbie Does Dallas, Dog Sees God, Dixie's Tupperware Party, Silence! The Musical, Matt & Ben Bash'd and The Irish Curse in addition to movies and a TV show. weekends. Tkts are $15, advance; $18, at door and available at www.FringeNYC.org, by calling (866) 468-7619 [9 A.M.-7 P.M.] or at the official box office, Fringe Central [45 Bleecker Street at Lafayette]. There're multiple show packages at $70 [Fiver Pass], $120 [10-show Flex Pass] and $500 [all-you-can-see Lunatic Pass]. Among eagerly-anticipated Fringe attractions are Yeast Nation: The Triumph of Life in the Fringe marks the long-absent creators of Fringe, Off Bway and Bway hit Urinetown, Mark Hollmann and Greg Kotis [music/lyrics and book/lyrics, respectively], who've been busy entertaining in that other theater town, where Judy once saw a man dance with his wife, Chicago. Urinetown racked up nearly a thousand performances on Bway; was nom'd for Best Musical, won Hollmann and Kotis a 2002 Tony for Score and Kotis for Book; and DD noms for Musical, Book and Music/Lyrics. Coming direct from L.A., where it was a hit, is Chris Phillips' Elysian Fields which brings back to life Tennessee Williams' shy young Allan Grey of A Streetcar Named Desire; Sebastian Venable, the doomed aesthete of Suddenly Last Summer who's unable to escape his past; and Skipper, Cat on a Hot Tin Roof 's football hero "who refuses to give up fighting for the love of his cowardly best friend, even in the face of formidable rival" [Maggie, the Cat]. All were fatalities in the master's classics, but now have a platform to tell their stories. So, you haven't had enough about the curse of Bway's most expensive musical ever? Well, there's always more. Especially in the Fringe. Travis Ferguson [book/lyrics] and Dave Ogrin [music/lyrics]'s rock opera The Legend of Julie Taymore, or the Musical That Killed Everybody! is a "comedy based on the rise and fall of director Julie Taymor" and events plaguing Spider-Man, where its promised you'll get a "Greek tragedy" behind-the-scenes expose. Direct from L.A. is Naomi Grossman's one-woman hit camp fest Carnival Knowledge: Love, Lust and Other Human Oddities, "for mature audiences" and which runs one hour. Set on a carnival midway, Grossman chronicles her dizzying dating history. It plays at the Kraine Theatre [85 East Fourth Street, between Bowery and Second Avenue] August 18, 19, 20, 24 and 26. For more information, ww.naomigrossman.net. The courage and humor amid the adversity of Australia's greatest natural disaster, "Black Saturday," 2009, when firestorms "equaling 1,500 Atomic bombs" come to life in Ali Kennedy Scott's The Day the Sky Turned Black. The solo play from Sydney, which runs 55 minutes, plays the IATI Theatre [64 East Fourth Street] August 14, 19, 24, 27 and 28. www.thedaytheskyturnedblack.com. 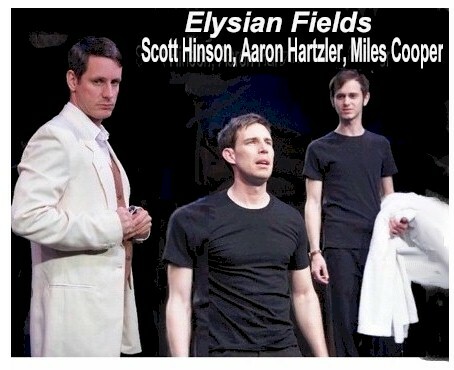 Elysian Fields, co-directed by playwright Chris Phillips and John Michael Beck [A.D., L.A.'s Celebration Theatre, where the play premiered], runs 1:40 and will play the Kraine Theatre August 22, 24, 26, 27 and 28. www.elysianfieldstheplay.com. The Bridge Theatre Company will present Nicolas Billon's Greenland, which won Outstanding Production, Audience Choice Award at the 2009 Toronto Summer Works Festival. It tells of the discovery of a new island off Greenland's coast after ice levels recede and how the discoverer's life is forever changed. Greenland, which runs one hour, will run at the Players Theatre [115 MacDougal Street, east of Sixth Avenue] August 12, 14, 17, 18 and 19. www.thebridgetheatrecompany.com. The Legend of Julie Taymore..., which runs 1:45, plays the Bleecker Theatre [45 Bleecker Street at Lafayette Street] August 12, 16, 18, 21 and 24. www.LegendOfJulie.com. Pittsburgh's PigPen Theatre Company, which won the 2010 Fringe Award for Overall Excellence for PigPen, returns with The Mountain Song, the story of a carpenter traveling and overcoming many obstacles to attend his daughter's wedding though he doesn't know where it's taking place. The Mountain Song, which runs one hour, plays the Fourth Street Theatre [79 East Fourth Street] August 13, 18, 22, 25, 26 and 27. www.PigPenTheatre.com. Greg Kotis directs a cast of 15! 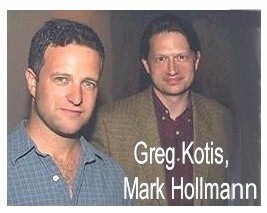 in the Chicago hit from Urinetown's composers Kotis and Mark Hollmann, Yeast Nation: The Triumph of Life, described as a "hilarious" spin of Greek tragedy/Shakespeare, set in 3,000,458,000 B.C., "where the planet's first creatures - the Yeasts - discover a force called love, and in the process change the course of history. 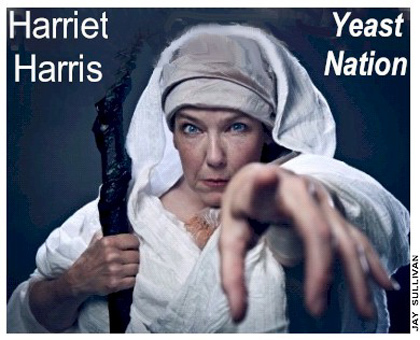 It runs 2:30 and will play the Ellen Stewart Theatre @ LA MAMA [74 East Fourth Street] August 13, 18, 21, 22 and 25. www.yeastnation.com. For a complete listing of shows, venues, showtimes, directions and more information, visit www.FringeNYC.org. Internationally acclaimed tenor and celebrated worldwide recording artist Andrea Bocelli will perform a free concert on Central Park's Great Lawn September 15 with the New York Philharmonic. Conducting will be M.D. Alan Gilbert. The concert will be recorded in HD by THIRTEEN for WNET for PBS broadcast on Great Performances in the Fall. 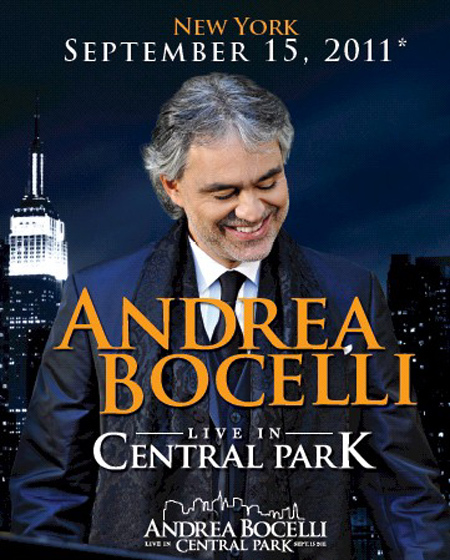 Andrea Bocelli Live in Central Park will also be released on CD and DVD by his label Sugar/Decca in November. Free ticket distribution begina at 9 A.M. Thursday, August 4, four to a person. Locations: Best Buy Theatre, 1515 Broadway, NY; BAM, 30 Lafayette Avenue, Brooklyn; Queens Theatre in the Park, Flushing Meadows Corona Park, Flushing; Paradise Theatre, 2413 Grand Concourse, the Bronx; St. George Theatre, 35 Hyatt Street, Staten Island. For more information, go to www.BocelliCentralPark.com. Looking for a cure from summer blockbuster 3-D fatigue? Help is on the way. 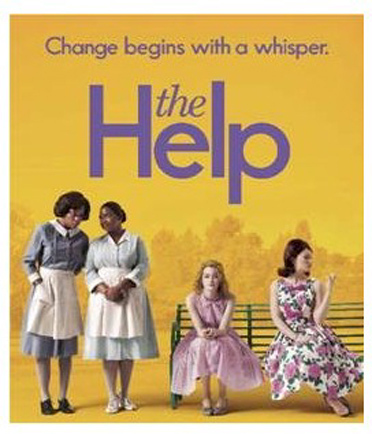 Kathryn Stockett's best-selling novel The Help, set amid social and racial change in Jackson, Mississippi in the explosive 60s of Freedom Riders, school integration and human rights violations/murder, comes to the screen August 10 [Dreamworks/Disney], adapted and directed by actor [Winter's Bone] turned director Tate Taylor, undertaking only his second feature film. The fact that the novel is fiction based on fact has eluded many readers, as it probably will moviegoers. The book that gets published in the movie never existed. It never could have happened in that era, no matter how courageous one might have been. Stockett's novel is the book of interviews, and she covers the spectrum. However, except for a fleeting glance, one thing is missing from the book and film: The majority of Southern families treasured their maids/cooks. In many instances I am familiar with [and speaking from experience since I'm a Mississippian], a bond was created that lasted until the death of either party. Of course, I was never a member of the country club set, nor was I ever invited into the homes of the super rich - except to deliver groceries or collect for my paper route - so I don't know how they treated their help. What makes the book so endearing are the characters. Stockett fully meshes them out in a way the film can't. Moviegoers, as readers did, are going to fall in love with Ole Miss society grad Skeeter, played by Emma Stone, as she begins her career as a journalist. They'll admire Aibileen, portrayed by Viola Davis, for her tenacity; and Minnie, played by the ab fab Octavia Spencer [in a star-making, Oscar-nom worth performance] will steal the movie as she does the book. The fact that Davis and Spencer are Southerners is an asset to their portrayals, especially since they don't have to fake an awful dripping-with-magnolias accent. Then there's Bryce Dallas Howard, as Hilly, the woman you can't help but despise; and Celia "White Trash" Foote, indelibly etched onscreen by Jessica Chastain, whom you'll be rooting for as you did in the book. As those hard-working, vastly underpaid black maids are forming a sisterhood alliance with Skeeter, there's all that Southern fried chicken! and that dee-lish pie ["What did y'all say is in it?"]. The 75th anniversary of Judy Garland's feature film debut is being celebrated by the Film Society of Lincoln Center and the Paley Center with Judy Garland: All Singin', All Dancin', All Judy, a huge retrospective that continues through August 9. There are several don't-miss films on the schedule. Screenings are taking place at the Walter Reade Theatre. The Paley Center's comprehensive retrospective of Garland's television work, Judy Garland: The Televison Years is being presented through August 18. For more information go to www.paleycenter.org. A companion piece to the retrospective would be any of the numerous Garland recordings and bios, Lorna Luft's Me and My Shadow: A Family Memoir, Ronald Haver's well-researched A Star is Born, The Making of the 1954 Film and its 1983 Restoration and retrospective co-curator [with FSLC program director Richard Pena] John Fricke's Judy: A Legendary Film Career, to be published August 23 [Running Press]. 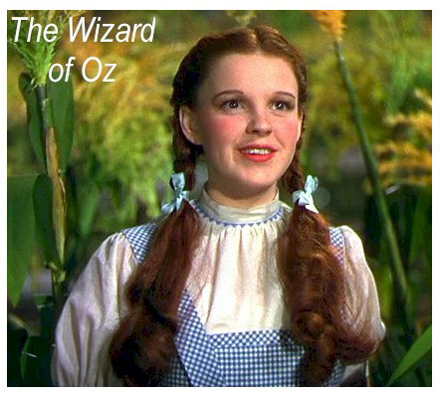 Today, August 3 @ 4 P.M. - a rare opt to see The Wizard of Oz  on the big screen, Ray Bolger, Bert Lahr, Jack Haley. D: Victor Fleming. Oscar winning Song [Harold Arlen, music; E.Y. Harburg, lyrics], Score [Herbert Stothart]. Special Oscar for Garland. Garland's characterization is one of most identifiable in film history, right up there with Chaplin. August 4, 6:15 P.M. - For Me and My Gal , Gene Kelly. D: Busby Berkeley; 8:30 P.M. - The Harvey Girls , John Hodiak, Angela Lansbury. D: George Sidney. August 5, 2:15 P.M., August 9, 8:15 P.M. - A Star is Born , James Mason. D: George Cukor; 8:30 P.M. - Till the Clouds Roll By , all-star [June Allyson, Kathryn Grayson, Van Johnson, Lena Horne] Jerome Kern bio musical. D: Richard Whorf. August 5, 6 P.M.; August 8, 2 P.M. - Easter Parade , Fred Astaire. Score: Irving Berlin. D: Charles Walters. August 6, 6:10 P.M., August 9, 1:30 P.M. - Summer Stock , Gene Kelly, Eddie Bracken. D: Charles Walters; 8:30 P.M. - In the Good Old Summertime , Van Johnson. D: Robert Z. Leonard. August 7, 10 A.M., "Movies for Kids" [$6 discount; children ages 4-12 must be accompanied by adult] - Gay Purr-ee , animated feature of country cat in Paris. Co-written by animator/director, Chuck Jones. Score: Arlen/Harburg. D: Abe Levitow; 12:30 P.M. - Girl Crazy , Mickey Rooney, June Allyson. D: Norman Taurog, Busby Berkeley. Score: George and Ira Gershwin; 6:30 P.M. and August 9, 3:45 P.M. - I Could Go On Singing , Dirk Bogarde. D: Ronald Neame.Garland's final film; 8:40 P.M., August 8, 4:15 P.M. - A Child Is Waiting . D: John Cassavetes. August 9, 6 P.M. - Meet Me in St. Louis , Margaret O'Brien, Mary Astor. D: Vincente Minnelli. For the retrospective, Film Society of Lincoln Center and the Paley Center acknowledge Warner Bros., the Academy of Motion Picture Arts and Science and UCLA's Film and Television Archive. 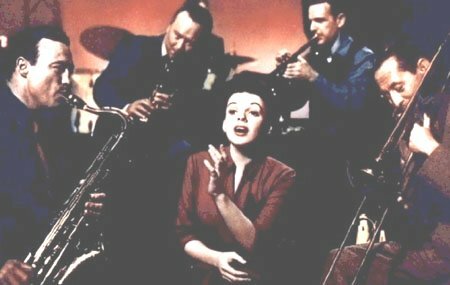 Judy Garland in the 1954 musical adaptation of A Star is Born [Warner Bros.; available on DVD and Blu-ray] is one of the greatest one-woman shows and heartbreak dramas in moviedom. Warners gave the film one of the most eleaborate premieres in Hollywood history. About the only Who's Who not there was James Mason, away on location. Then, after release with big box office, the studio butchered the film from 196 minutes to 182 minutes and then, to accommodate additional showings, 154 minutes. Now, after being meticulously restored by the late film historian Ronald Haver with deleted footage, audio tracks, and stills captured on set, the near masterpiece 176-minute version contains a movie buff's treasure trove of music, comedy and drama. ASIB marked Garland's triumphant return to the screen four years after being dumped by M-G-M [and being fired from the screen adaptation of Annie Get Your Gun and, even against Fred Astaire's wishes, Royal Wedding] following years of turmoil. George Cukor directed this classic musical drama about the doomed marriage of a vocalist, Esther Blodgett, groomed for movie stardom by leading man Norman Maine. They fall in love, marry, and as her career ascends, his declines. It costars James Mason [in the role Cary Grant turned down because he was concerned about Garland's "unreliability"], in undoubtedly his most stellar performance outside the U.K.; Jack Carson, as the studio hack you hate in, perhaps, the best performance of his career; and Charles Bickford as studio head Oliver Niles. The screenplay is by Moss Hart, based on Dorthy Parker's 1937 original. 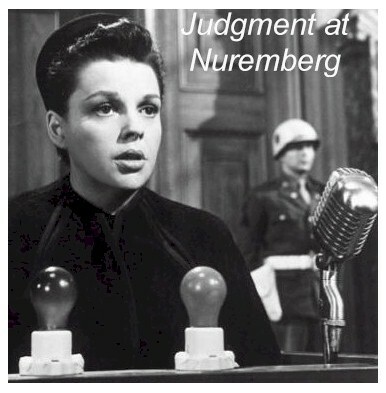 It was nominated for six Oscars, including Best Actress [Garland was robbed!] and Actor; and won two Golden Globes, Actress and Actor. ASIB has also undergone cutting edge digital restoration to give audiences back the brilliant, saturated Technicolor palettes and an unbeliebably crisp picture. Heavy chemical staining that affected several portions of the film has been removed. This preservation has guaranteed the survival of this treasure effort. Without it, the film's original fragile negative would be near extinction. Cukor was smart to surround Garland with Mason and such reliable veterans as Carson and veteran character actor Bickford, in films since the late 20s. Among the film's highlights are Maine's courtship of Blodgett; Blodgett [now Vicki Lester]'s breakdown scenes with Niles; and, of course, the famous "I'm Mrs. Norman Maine" coda at the finale. ASIB is a showcase for great Harold Arden and Ira Gershwin songs, now heard in Dolby. They include "The Man That Got Away," one of the greatest torch ballads, " "Gotta Have Me Go with You," "Here's What I'm Here For," "Someone at Last," "It's a New World" and another extended sequence "Lose That Long Face." Other tunes are "Swanee" [Gershwin], "You Took Advantage of Me" [Rodgers and Hart] and Garland's "Born in a Trunk" tour de force, a spectacular extended sequence that led to intermission in initial roadshow engagements. It was created by her longtime M-G-M pals Roger Edens and Leonard Gershe and added after principal photography was completed. Mega Garland fans for years have been divided over whether the sequence raised the film to another plateau or, because some felt it seemed to distract from the story, was a huge blunder. It was Cukor's first musical, first color and first wide-screen film. A couple of these firsts, like shooting in the early stages of CinemaScope, befuddled the master and he made a couple of framing missteps. Garland's husband Sid Luft [father of Lorna and Joey] produced and maintained strong sway over Garland. He pretty much kept her on the straight and narrow - especially since the the film was being made by their production company. However, Cukor must have been frustrated, to say nothing of Garland, because after months of exhaustive shooting, Warner decided the film should be widescreen. After tests with their own anamorphic process were disappointing, they leased CinemaScope, only a year old, from Fox. Then, filming began anew. Sadly, as filming wore on, Garland had extreme weight fluctuations, began drinking, and imagining illnesses. Though this must have been difficult for a pro like Mason, he never uttered a bad word about his costar and attempted to be a stablizing influence. Made in 1953, a time when there were few roles other than servants or slaves for blacks. In the "Trunk" sequence, Edens put young black dancers front and center, and even have two doing a few steps with Garland, who proved to be an very good dancer. Marilyn Monroe, exhibiting her talent for high comedy, Jack Lemon, Tony Curtis and irrespressible Joe E. Brown headline one of screendom's classic madcap comedies, Some Like It Hot , co-written [with longtime partner I.A.L. Diamond] and directed by the master Billy Wilder. It's available on Blu-ray for the first time [M-G-M Home Entertainment; B&W; SRP $20; Standard DVD, SRP $15]. Also premiering [and available on DVD] are Clark Gable, Monroe, Montgomery Clift, Thelma Ritter [scenestealing as ever] and Eli Wallach in John Houston's sizzling drama The Misfits [M-G-M Home Entertainment], written by Arthur Miller. Sadly, Gable and Monroe's last films. The hard hitting revue 80s Flashback is rocking A.C.'s Tropicana Casino/Resort showroom [through Saturday of Labor Day weekend]. Four singers and 11 dancers deliver a whopping blast from the past with songs made famous by Bon Jovi, Culture Club, Whitney Houston, Michael Jackson, Madonna and Wham! Tkts for 80s Flashback, $25 and $35, are available at the Trop box office, www.ticketmaster.com or (800) 736-1420. For showtimes and more information [including a $139/double overnight package, inclusive of show tkts, two beverages and $20 in slot dollars]: www.tropicana.net. The Trop website also offers two-for-one tkts. Foodies should grab tkts for Trop's fourth annual Taste of the Quarter on August 29, from 6 - 9 P.M. Savor five-star cuisine and beverages at 23 venues, including Carmine's and the Palm [outposts of NYC restaurants] and P.F. Chang's, Cuba Libre, FIN [seafood], Il Verdi, Russian-themed Red Square and RíRá Irish Pub. Admission. $25, advance; $30, day-of. Purchase at the IMAX box office or as above. The event benefits United Way/Atlantic county. The Trop boasts The Quarter, a 200,000-sq. ft. mega-million dollar dining, shopping and entertainment complex celebrating 1940s Havana [and replicating the Cuban capital's vibrant Old World streetscape]. In addition to the Havana Tower, with over 500 guest rooms, there's aspa, 20 restaurants, 20 shops, 15 bars/lounges, pools, Marketplace and IMAX Theatre showing the latest blockbusters. The only thing missing is Desi Arnaz beating out "Babalu" on the conga drums. As Havana was home to the original Tropicana Casino, destiny in A.C. has come full circle. A.C. is proud of its pristine beaches, boardwalk, Caesar's Pier shops/restaurants and the more than 95 outlets at The Walk. Have you discovered WPIX, Ch. 11/Tribune Broadcasting's spin-off channels, This TV and Antenna TV? Both are treasure troves of classic and vintage films and retro TV series [Soap, The Monkees, Burns and Allen, The Three Stooges]. The big problem with both channels is incessant commercial interruptions. Shame on Tribune for missing the opportunity to do something really classic: a fresh approach to commercial breaks - instead of interrupting every seven - [in non-peak hours] 10 minutes for five - six minutes of a commercial barrage - sadly, as when watching programs on TV network sites, the same dozen over and over. Still, there are some winners and it's "free." Set your recorders and TIVO so you can FF through the commercials. Friday, This celebrates Marilyn Monroe with a marathon of There's No Business Like Show Business [co-starring Ethel Merman], Bus Stop, How to Marry a Millionaire, Niagara [co-starring Joseph Cotton] and Gentlemen Prefer Blondes [opposite Jane Russell]. Sunday, catch a Mummy Marathon led off by the original horror flick, The Mummy . Coming August 8: The Rose [Bette Midler]; August 9, Belle of the Yukon [Mae West]. For schedules and to watch feature-length streaming movies, visit: www.thistv.com; Antenna programming, check out www.wpix.com/entertainment/antennatv . Don't miss the Film Society of Lincoln Center's 49th New York Film Festival, September 30- October 16. The opening night gala is the North American premiere of Roman Polanski's Carnage, adapted from Yasmina Reza's 2009 Tony-winning play, God of Carnage. Full slate to be announced soon. For the complete line-up, information and ticket purchase beginning September 12, visit www.Filmlinc.com/NYFF. He was the best, not only as a choreographer and director but as a human being. A sweet man with incredible artistic instincts who always had time for you. I loved Tony and his wonderful sense of self and incredible sense of humor. It was a pleasure working with and interviewing him on various projects over the years because he was the real thing: talent personified, but always humble and gracious. The most amazing thing about Tony was how he cared for others, and always had their backs. What an amazing career! When I heard the news a week before his passing that Tony was in the hospital and in a coma, I couldn't believe it. Only a couple of weeks before, he was conducting auditions for a new show. I saw him and we chatted away. The unexpected is always part of our lives. Condolences to his family and the legion of friends who loved him. A memorial is planned for the Fall. Why are you looking all the way down here? For more articles by Ellis Nassour, click the links below!